Gordon Douglas McIntosh was born in Glasgow, Scotland on 29 May 1925, the son of Gordon McIntosh, ship's stoker and swimming pool attendant, and his wife Dorothy Robson, née Douglas. Attending Drumoyne Primary School and Govan High School, he was apprenticed in 1940 as a fitter and turner, starting work in the Glasgow shipyards before serving as a mechanic with the Royal Air Force from 1946 to 1948. McIntosh worked in Glasgow for a lamp-making firm (1948–49) and then with a foundry, as a fitter and turner and maintenance engineer. On 31 March 1950, McIntosh married Elizabeth Mary Graham; they would have two sons. Later that year the couple migrated to Australia on a free ex-serviceman's passage and settled in Perth. He found work quickly and was eventually employed as a die maker at the Perth Mint for twenty-two years; during this period he was seconded to assist in setting up the Singapore Mint, established in 1968. A member of the Amalgamated Engineering Union (AEU) in Scotland from 1941, McIntosh was an officer of the WA branch of the AEU from the early 1950s and served as State President from 1968 to 1972. When the AEU amalgamated with several other unions, he became state vice-president (1972–74) of the new body, the Amalgamated Metal Workers' Union. McIntosh was secretary of the Como-Mill Point branch of the ALP (1954–56); in 1957 he revived the defunct Collier-Manning branch and was its secretary until 1959. He served continuously on the Western Australian State Executive of the ALP for twenty-six years (1952–78). Preselected as a candidate in May 1972, McIntosh was elected to the Senate for Western Australia at the double dissolution election of May 1974 from third place on the ALP ticket, and was re-elected in 1975, 1980 and 1983. Throughout his time in the Senate, he was identified with the left wing of the party. Addressing the Senate for the first time on 10 July 1974, McIntosh discussed the problems associated with the 'vastness' of Western Australia. He observed: 'My first words will have left no doubts in the minds of the honourable senators as to the country of my birth' (his Glasgow accent being, according to a later commentator, 'more Billy Connolly than Commonwealth Upper House'). During his subsequent years in the Senate McIntosh focused mainly on industrial relations, the hazards of nuclear energy, and foreign affairs and defence, his work on Senate committees informing and complementing his contributions to debate. He was a member of the Standing Committee on Foreign Affairs and Defence for most of his parliamentary career, and chaired the committee from 1983 to 1987. 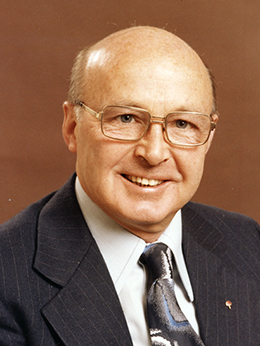 Caucus elected McIntosh as Deputy Opposition Whip (1976–80) and Deputy Government Whip (1983–87) in the Senate, and he was a temporary chairman of committees from 1980 to 1983. He was a member of the Australian Institute of International Affairs and from September to December 1983 was an Australian parliamentary adviser to the United Nations General Assembly in New York. In 1979 McIntosh raised questions regarding the safety of French nuclear tests at Mururoa Atoll in the South Pacific and suggested that Australia 'should play a more active role' in monitoring the tests. In April 1982 he was present on a protest vessel which was impounded by the French Navy after it had entered an exclusion zone around Mururoa. In the following month he was prominent in protests against the visit to Brisbane of an American nuclear-powered ship. In 1986 McIntosh initiated an inquiry by the Standing Committee on Foreign Affairs and Defence into the preparedness of federal and state authorities to deal with radiation leaks from visiting nuclear-powered or armed ships. McIntosh was also concerned by 'the intractable problem of nuclear waste disposal', arguing that, as an exporter of uranium, Australia had a 'moral obligation' to work for the 'elimination of the nuclear danger—whether waste or weapons'. In December 1982, with seven other committee members, McIntosh was a signatory to a dissent to a report of the Joint Committee on Foreign Affairs and Defence on the ANZUS Alliance. The dissent argued that the treaty had constrained Australia unacceptably, for example, by obliging Australia to provide support to the United States (US) in the Vietnam War. In the Senate, McIntosh said that despite the presence of US military bases in Australia there was 'no guarantee whatsoever in the ANZUS treaty' that the US would 'come to our aid, should we be in a conflict or under attack'. He believed that Australia should seek either 'a far better deal', or be more self-reliant in its defence arrangements. In 1983 media described McIntosh as 'an implacable Labor campaigner for East Timor self-determination' and this was the role for which he was best known. He first visited Timor in March 1975 as a member of an ALP delegation. In the next year McIntosh was a member of an Australian parliamentary delegation visiting Indonesia; he described to the Senate a 'confrontation' on the subject of Timor with the Indonesian Defence Minister, General Panngabean, whom he described as 'very frank indeed'. This contact followed the 'invasion' of East Timor by Indonesian forces in late 1975 and its incorporation into Indonesia in July 1976. The Fraser Government gave de facto recognition to Indonesian sovereignty over East Timor in 1978, but McIntosh was constant in his belief that the East Timorese people had a right to self-determination that had not been extinguished by international recognition of Indonesia's claims to the territory. He asked many questions in the Senate about East Timor; the topics included allegations of atrocities, military contacts between Australia and Indonesia and treatment by Indonesian authorities of representatives of the Timorese resistance movement, Fretilin. In 1982, addressing the United Nations decolonisation committee, McIntosh publicly repudiated his former leader Gough Whitlam, asserting that Whitlam's views on East Timor did not reflect ALP policy. His argument was supported by a petition he presented that called for an act of self-determination in East Timor, signed by all but two Labor members of federal Parliament. After Labor's victory in the federal election of March 1983, the Hawke Government adopted the attitude of its predecessors, in treating Indonesia's incorporation of East Timor as irreversible. McIntosh remained defiant, 'a thorn in the side of successive Australian governments'. In July 1983 McIntosh was a member of another Australian parliamentary delegation to Indonesia, this time taking in East Timor. A dissenting report by McIntosh was attached to the delegation report which resulted in a publicly-aired conflict with the leader of the delegation, Labor colleague Bill Morrison MHR. In the Senate on 6 September McIntosh claimed that the majority report displayed 'a clear tendency to diminish the significance of fundamentally important aspects of the Timor problem' and was not 'a credible reflection of the views of this Parliament'. On 8 September McIntosh, as chairman of the Standing Committee on Foreign Affairs and Defence, tabled that committee's report into the human rights abuses and the conditions of the people of East Timor. The report declared the Indonesian invasion and occupation to be 'an illegal act', described gross violations of human rights and called for an internationally recognised act of self-determination. The three Opposition senators, constituting half of the committee, dissented from the report. During his remaining years in the Senate, McIntosh continued to speak out on the subject of East Timor. In March 1986 he questioned the legitimacy of negotiations between Australia and Indonesia over the seabed boundary between Australia and East Timor. In his last Senate speech McIntosh reminded the Senate of 'the people in Timor who were robbed of their rights'. McIntosh's concern for the needs and rights of oppressed people was not confined to East Timor. Speaking in support of the Racial Discrimination Bill in 1975, he said: 'In a progressive society real social progress can be measured only by the attitudes of the majority of people to minority groups'. In 1976 he spoke on behalf of people living under 'the truly feudal system' on the Cocos Islands. He questioned the morality of the Fraser Government's cessation of Australian aid to Vietnam after the Vietnamese invasion of Kampuchea in 1978 and the delays in providing humanitarian aid to the People's Republic of Kampuchea in the light of reports of famine there. He spoke out on behalf of refugees from Irian Jaya camped in Papua New Guinea from the early 1980s and in 1983 drew the attention of the Senate to 'the appalling lack of basic human rights in Chile' under the government of General Pinochet. McIntosh retired from the Senate on 5 June 1987, his last term shortened by the simultaneous dissolution of both Houses of Parliament. As he fell outside the Western Australian Labor Party's age guidelines for parliamentary candidates, he did not stand for preselection. After leaving Parliament he continued to campaign on behalf of the East Timorese. On his investment into the Order of Timor-Leste in December 2014 he was described as 'the conscience of the Federal Parliament on the matter of the Indonesian invasion of East Timor and the repression of the Timorese people'. His collection of papers concerning East Timor is held by the Clearing House for Archival Records on Timor (CHART) in Perth. 'Profile: Gordon Douglas McIntosh', House Magazine, 10 June 1987, p. 3; 'Questionnaire' completed for Parliament's Bicentenary Publications Project, 1982, NLA MS 8806; ALP, 'Senate candidates 1974', p. 3; Great Britain, Ministry of Labour and National Service, Overseas settlement application, Gordon Douglas McIntosh, 28 April 1950. CPD, 10 July 1974, pp. 54–5; WA (Perth), 27 Feb. 1984, p. 9. CPD, 27 Feb. 1975, pp. 547–8, 3 June 1976, pp. 2372–4, 28 May 1979, pp. 2205–7, 18 Oct. 1979, pp. 1568–70, 25 Oct. 1979, pp. 1798–9, 31 March 1981, pp. 933–5, 3 June 1981, pp. 2549–52, 19 Nov. 1981, pp. 2361–2, 25 Nov. 1981, pp. 2533–5, 25 Feb. 1982, pp. 517–18, 16 May 1985, pp. 2099–102. CPD, 11 Oct. 1979, pp. 1304–5; CT, 10 April 1982, p. 3; Courier-Mail (Brisb. ), 2 May 1982, p. 21; CPD, 9 May 1985, pp. 1633–4, 28 May 1985, pp. 2620–1, 1 Dec. 1986, pp. 3101–3; Joint Committee on Foreign Affairs and Defence, The ANZUS Alliance, Canberra, 1982, pp. 95–9; CPD, 2 Dec. 1982, pp. 3106–7. CT, 7 June 1983, p. 2; CPD, 30 Nov. 1976, pp. 2220–1, 7 Dec. 1976, p. 2699; CT, 12 Nov. 1982, p. 9; Roger S. Clark, 'Networked governance of freedom and tyranny: peace in Timor-Leste', Human Rights Quarterly, Vol. 35, No. 1, Feb. 2013, p. 246; WA (Perth), 13 Aug. 1983, p. 28; Age (Melb. ), 7 Sept. 1983, pp. 1, 3; CPD (R), 6 Sept. 1983, pp. 384–8; CPD, 6 Sept. 1983, pp. 352–4, 8 Sept. 1983, pp. 566–7, 28 March 1984, pp. 825–9, 20 March 1986, pp. 1376–7, 5 June 1987, p. 3693. CPD, 22 May 1975, pp. 1793–4, 24 Aug. 1976, pp. 3233–5, 6 March 1979, pp. 538–9, 26 Sept. 1979, pp. 9679, 11 June 1981, pp. 3605–6, 14 Nov. 1985, pp. 2155–7, 3 Dec. 1986, p. 3283, 2 June 1983, pp. 1244–5. Media Release, the Hon. Allannah MacTiernan MP, 22 Dec. 2014; CPD, 5 June 1987, pp. 3693–4. This biography was first published in The Biographical Dictionary of the Australian Senate, Vol. 4, 1983-2002, Department of the Senate, Canberra, 2017, pp. 496-499.